By now, you’ve probably figured out writing your ebook was just the first step. Now that it’s complete, you’re going to have to make some moves to drum up interest. However, with somewhere over 1,000,000 new books published each year, you’re going to have to come up with some clever ways to market your ebook to get it noticed. Here are few to consider. There’s just no way around it, you have to have a strong social media presence these days if you want to move merchandise, and eBooks are no exception. The key is being strong on the right platforms. This means knowing your target reader and where they live; whether it’s Facebook, Instagram, LinkedIn, Pinterest or YouTube. If you’re going to be truly successful, you have to make time every day to engage with people, even when you don’t have a new book to promote. Then, when you do, you’ll have a ready audience of people to whom you can leak excerpts, offer chapter previews and the like. Bring them along with you as you write the book, granting them insights into your process. This builds buzz in anticipation of your publication date. At the earliest opportunity, get your book in front of as many opinion leaders in your area as possible. Ask them to review your book in advance of publication. Tout those reviews heavily across your website, blog and social media platforms. This tactic can be used to build anticipation, as your die-hard fans will be anxious to see what the critics found so fascinating about the volume. But whatever you do, make sure the reviews are legit. Engaging in questionable practices like faking reviews can land ebooks online stores like yours in hot water. Sites like Amazon are also actively cracking down on fake reviews. Getting caught doing so will inevitably damage your reputation and sales. Rather than calling the day your book goes live the publication date, set it for a month or two afterwards. This gives you time to make sure all of the delivery kinks are worked out before your heavy marketing push kicks in. It also allows the book an opportunity to find its legs on its own before you start notifying people of its availability. A delayed publication date also allows you to marshal an orchestrated marketing blitz. Hit the world with a stack of promotional activities all at once on your publication date and the next day. Offer the first 50 downloads free, a discounted price for the next 50 and so on. Blast all your social outlets, tout it heavily on your site and in your blog, and get all of your family members and friends to do the same. The key is to be relentless (but not obnoxious) for the first 48 hours to start off with as big a sales spike as possible. 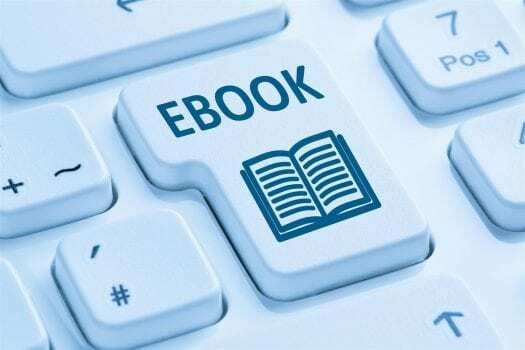 That way, if you’re also offering the book on Amazon, it has an opportunity to rank highly in the popularity charts, which means it gets promotion from the site too. Then, three months later, do it all over again. Producing a video clip about your book sounds counter-intuitive, which is exactly what makes it such a smart play. Just as you brought readers along with you during the production process in your social feeds, the video can give readers some insights into how the material was generated, your philosophies and the like. It’s an opportunity to give readers a chance to see you and hear you. This can greatly increase their affinity toward you and your work. Delayed publication I hadn’t thought of – so thank you. I’ve been thinking about making a short video about my book but hadn’t really heard much about this as a promotional method. Now you mention it, I will do that.